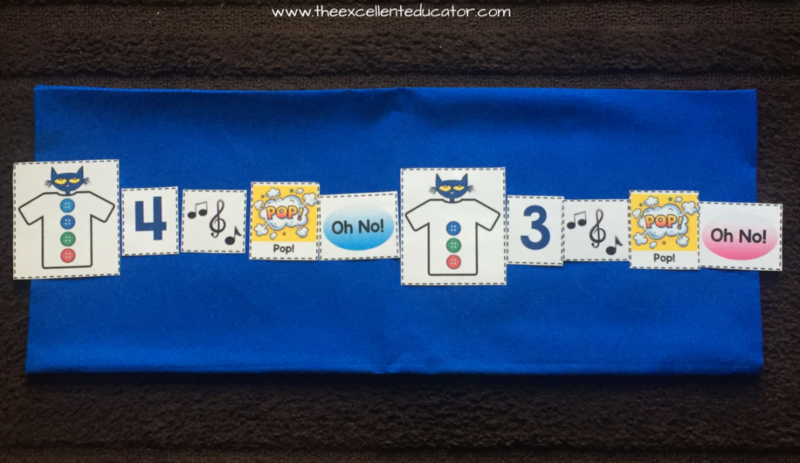 How many of your students the LOVE Pete the Cat series? 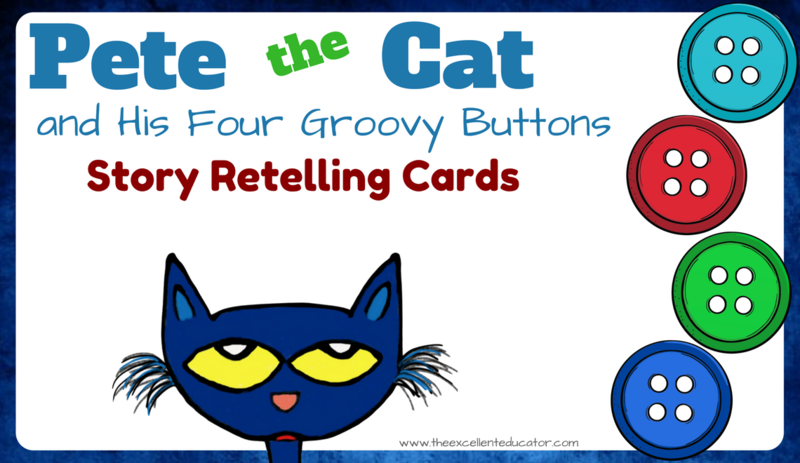 How many of you own Pete the Cat and His Four Groovy Buttons? I thought so! 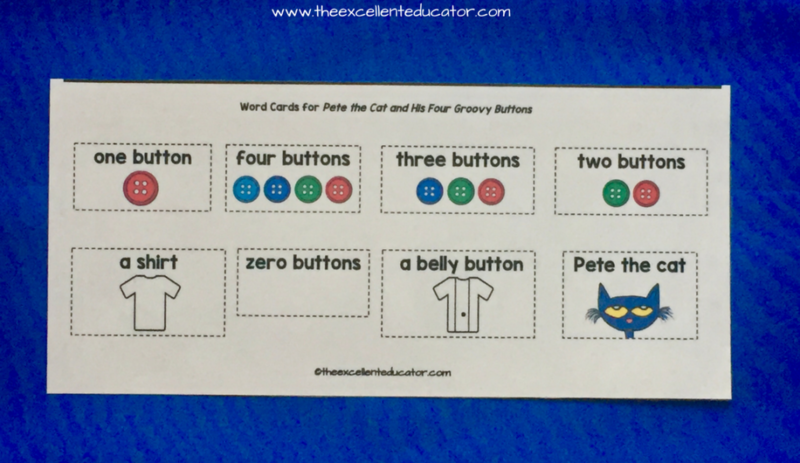 This month I want to dedicate both blog posts to extension activities for Pete the Cat and His Four Groovy Buttons, for you and your students to enjoy! 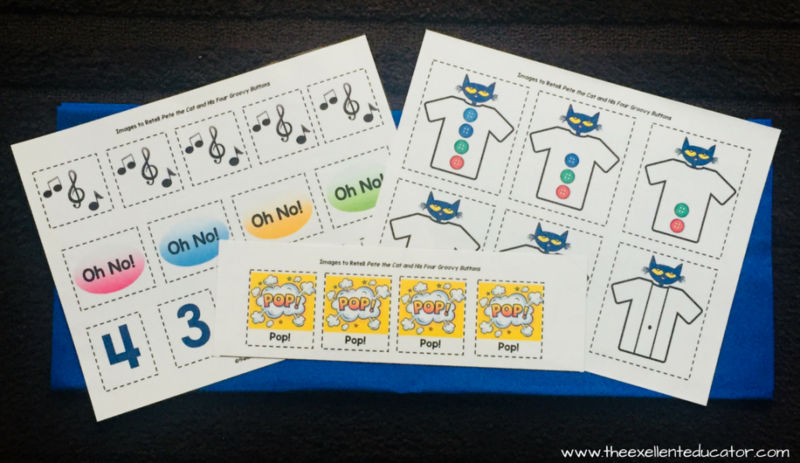 This week’s featured activity is a set of Pete the Cat story retelling cards. These cards are a great way to practice retelling familiar stories and place events in order! They can be used in large group or small group and they also come with extra word cards for you to encourage children to draw a picture of their favorite part and label it! 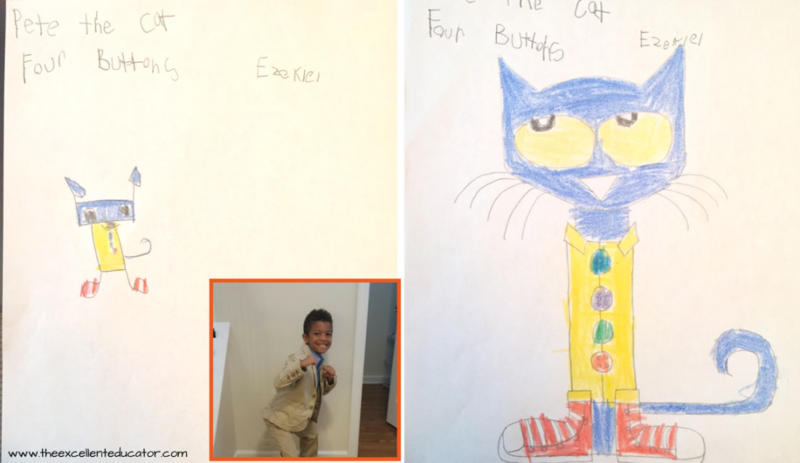 Special thanks to my featured junior illustrator: Ezekiel! Are you a Georgia Pre-K teacher who is thinking about assessing this? This activity can cover two Language and Literacy assessment indicators (LLC4 and LLD2) and can easily be documented with a matrix or with a work sample if you choose to do the drawing and writing extension. Thank you for this amazing resource! 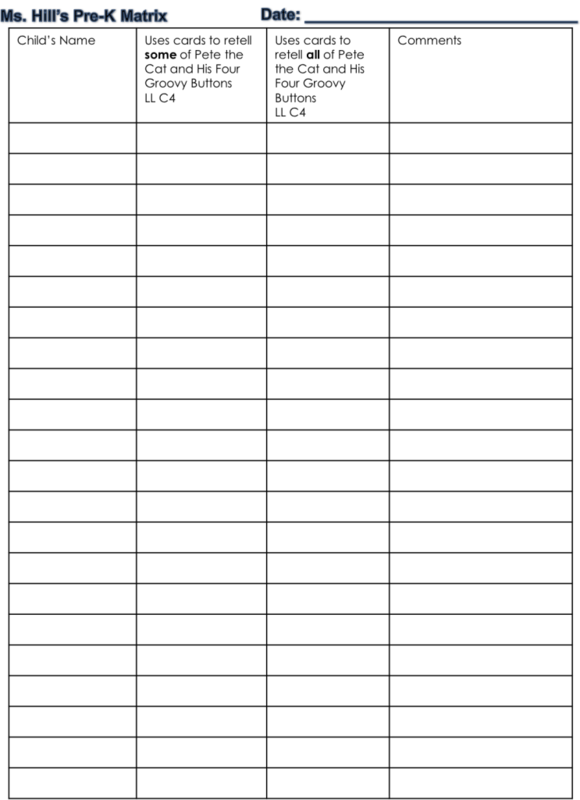 I love the matrix provided as well! Can’t wait to try it.